Hey guys , any of you have the katana SR? i have one and i want to see what everyone thinks and what upgrades they have done , right now im flying mine on 4S and she does pretty good , i upgraded my servos to tower pro digitals and re-hinged it with pinned hinges , nice easy movement! i just ordered a 1100 watt motor which is overkill but i want the extra power , ill be running it on 5S with that motor and a turnigy plush ESC , i flew it at the black hills huckfest this last summer , everybody was suprised and i was using my turnigy 9x radio , using a JR 9303 2.4 now , ill be competing with it this next year hopefully! Yep, I had one and lost it when I flew past the sun. I upgraded to a 13x8 prop and it made it way faster on 4s. I've been considering another b/c it flew so well. the only thing i had a problem with on mine was the rudder servo , sometimes it wouldnt want to center , so every once and a while the tail would wag , but since i upgraded the servos it flies alot smoother , right now im using a 13x7 APC and it does quite well , the only reason im upgrading the power system is i want unlimited vertical and for it to hover at about 1/3 throttle , absolutly great flying plane and for the cost i personally would recommend one..... im thinking of getting the NS-50 and giving it a try. im thinking of getting the NS-50 and giving it a try. The stock 45 amp esc on the NS 50 is almost sad. Go with the Nemesis from Hobbyking. It's the same airplane, just without electronics. Upgrade it to 6s on a high kv inrunner and try to race some H9 sundowners! Personally, The NTM prop drive and Turnigy SK are both better suited to a Sebart plane. They are much lighter and higher quality. Match the watts and measurements of the motor you need and that will be the one! The mah is only a guideline but you will need 4s. If you can get it to balance with two 2s 3000's in series, then do it. I flew mine with a 4s 5000 with no problems. 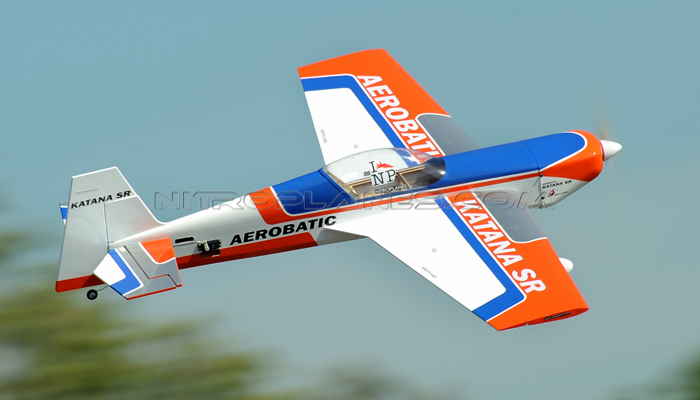 this specific model really isn't much on 3d, it's more of a sport plane.